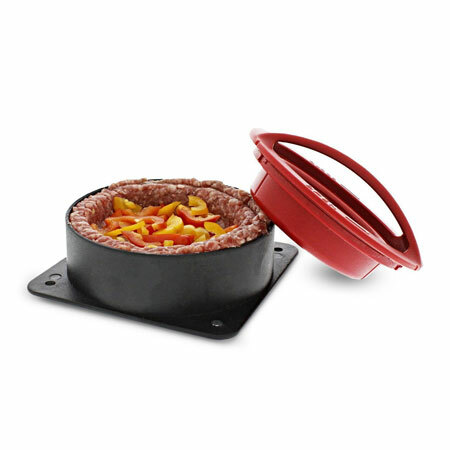 Yukon Glory Burger Press: lets you make sliders, regular, or stuffed burgers in seconds. It is dishwasher safe. 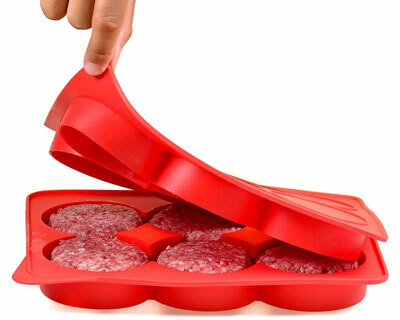 Good Cook Stuffed Burger Press: another simply tool that lets you make stuffed burgers with your favorite fillings. It is dishwasher safe. 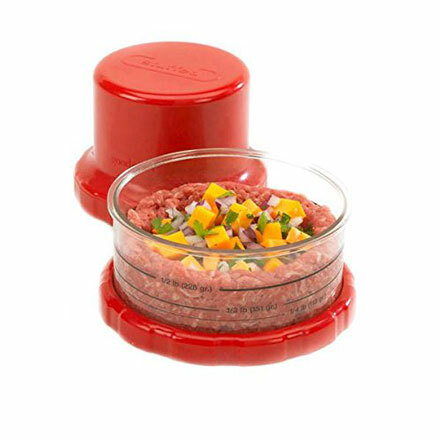 Burger Expert Silicone Burger Press: a 7 in 1 stuffed burger maker that lets you make large burgers for your guests and family. It is also freezer safe. 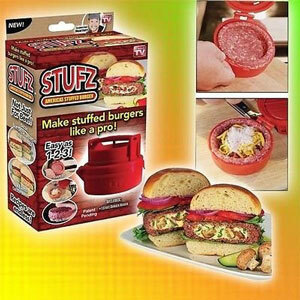 Stufz: lets you make delicious burgers filled with mushrooms, cheese, garlic, and onions. Simply use it to create space in the middle of your burger to add ingredients. Burger Wizard Patty Maker: it makes 6 evenly shaped burgers. They can be individually sealed to prevent freezer burn. 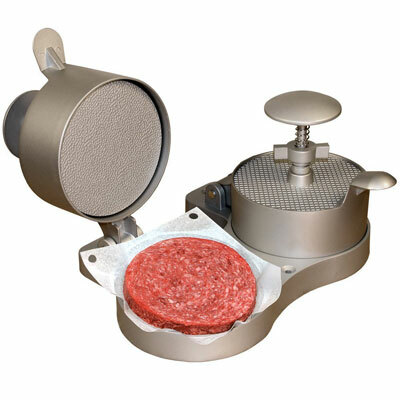 Weston Burger Express Double Hamburger Press: turns your ground meat and seasonings into perfect burgers. 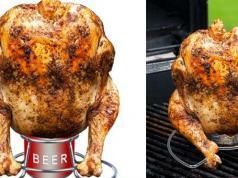 It makes patties from 1/4 to 3/4 lb, measuring 4.5″ in parameter. Have you found better stuffed burger makers? Please share them here.